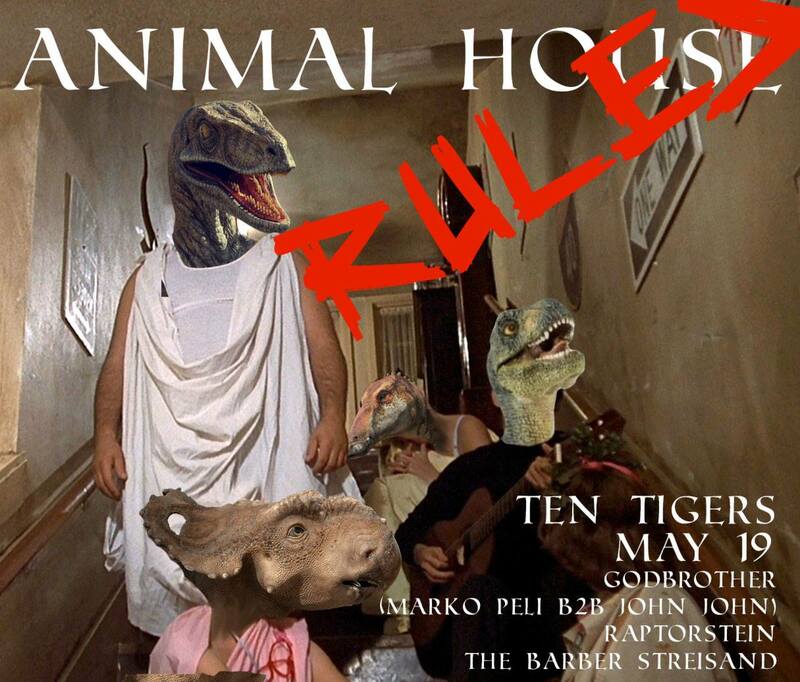 Well that's something you don't see every day: there's a dinosaur-themed toga party tonight at Ten Tigers Parlour from 10pm-3am. 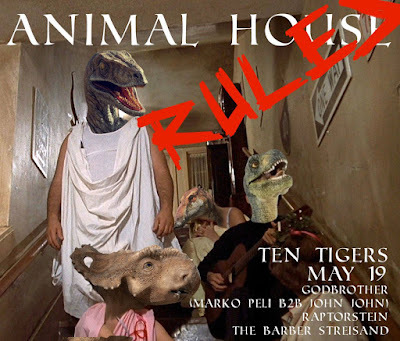 Called Animal House Rules, there will be DJs (Godbrother, Raptorstein and the amusingly named The Barber Streisand) spinning and there's no cover. Togas are optional, but who goes to a toga party without a toga?